In this paper, I will focus on only one aspect of the trial of Jesus, drawing more attention particularly to John 18:29-30 and articulating more clearly to an LDS audience why the accusation in that verse holds a key for understanding the legal cause of action and strategy of the chief priests before Pilate at that stage in the proceedings against Jesus. The focus here is only on John 18:29-30; this is not an attempt to give a complete account of the entire episode. For a more complete and fully footnoted presentation of my approach to this subject, my longer study has recently been published in a major volume edited by James H. Charlesworth, entitled Jesus and Archaeology. A shorter version of that paper, without discussion of John 18:29-30, previously appeared in the BYU Religious Studies Center volume, Jesus Christ Son of God Savior. People have long questioned, Why was Jesus executed? Was he put to death by Romans or by Jews? Was it on political charges or for religious offenses? Were the proceedings legal or illegal? Answers to such questions have proven extremely evasive and have generated a vast body of scholarly analysis and amateur literature, for the trial of Jesus is an extremely complicated legal subject. It is easily one of the most difficult and controversial legal subject in the history of the world. Thus, caution is in order whenever one embarks on the study of this topic. Many legal issues immediately confront anyone approaching the trial of Jesus, but none is more fundamental than determining which legal rules applied to such as case in Jerusalem in the first part of the first century? Consider, for example, the commonly asserted prohibition that Jewish trials could not be conducted at night. This rule is found in the Talmud, but the Talmud was not written until many years after the destruction of Jerusalem a generation after the death of Jesus. Moreover, the Talmud was written by the religious descendants of the Pharisees and thus represents the views of the Pharisees. In first-century Jerusalem, however, the Pharisees and the Sadducees disagreed on many legal technicalities, and it is unknown what the Sadducees thought about trials at night. So, it is quite unclear whether the Sadducees, the lay nobility who were the leaders of the Sanhedrin, would have had any legal objections to a nighttime arrest, hearing and conviction. Similar legal problems are encountered at just about every turn in pondering the Jewish and Roman trials of Jesus. Several factual perplexities also hinder our understanding. For example, was the trial actually held at night? It is clear that Jesus was arrested at night, but perhaps that happened well into the night and near the pre-dawn hours. Luke, in fact, says that it was day before the trials actually began (Luke 22:66), although it must have been very early in the morning, since many things happened between the time Jesus was arrested and when he was taken to Golgatha about 9 am (Mark 15:25). It is worth noting that it was customary among the Romans to be at work before daybreak, but without knowing when the trial actually began or ended, it is hard to know whether the rule against nighttime trials was violated, even assuming that there was a prevailing law against such proceedings at the time of Jesus. Moreover, verbal ambiguities make legal analysis in many cases quite difficult. For instance, Jesus is accused of “deceiving” the people. Does this mean that his accusers thought he fooled them maliciously, carelessly, or perhaps even unwittingly? Did they think that he was deceptively encouraging them to commit sin, or erroneously teaching them to think incorrectly, or tricking them into apostasy? Did they think that his deception was simple antisocial misrepresentation, or was it illegal fraud? Without knowing more about what his accusers meant, it is hard to know why they thought his words or doings were deceptive in such a way as to warrant the death penalty. But most of all, one wonders how the general concerns of the chief priests and the Romans might have been translated into a specific legal cause of action against Jesus. Was he accused of blasphemy? Yes (Matthew 26:65-66; Mark 14:63-64), but there must have been more to the case than this (and often legal causes of action were added, one on top of the other, in ancient trials). If blasphemy alone had been the issue, one would expect that Jesus would have been stoned by the Jews, which was the usual, biblically prescribed mode of execution for blasphemy (Leviticus 24:16; Acts 6:11; 7:59). And because Pilate and the Romans would have cared very little about a Jewish accusation of blasphemy, scholars have often concluded that Jesus must have been executed for some other reason, perhaps on charges of treason against Rome, since he was accused of having called himself the king of the Jews and this appellation ended up on the placard placed by Pilate above Jesus on the cross. But, it is very hard to see any substance to a claim of treason against Jesus. He was an unarmed pacifist, a Galilean peasant who said, “All they who take the sword shall perish with the sword” (Matthew 26:52). When asked by Pilate about his kingship, Jesus answered, “My kingdom is not of this world” (John 18:36), and it appears that Pilate was satisfied that Jesus posed little, if any, threat to Rome or to the Emperor Tiberias: “I find in him no fault” (John 18:38). Such considerations lead to the persistent question: What might have been the main legal cause of action that carried the most weight against Jesus and lead to his crucifixion? The solution to this problem that I have found most satisfying is found in the Gospel of John. All readers of the New Testament must chose between (a) relying primarily on John and then secondarily on the Synoptics to fill in the gaps, or (b) primarily on the Synoptics and then secondarily on John. For the following reasons, I prefer the former. Besides the fact that John’s report makes impeccable legal sense, John can be trusted as a witness of these proceedings. He was one of the leading apostles, with Peter and James. John was at Golgatha and would have known as much as possible about what was happening and why. John 18:15 tells us that “another disciple went in” to Annas’s house. Was this Judas? Or Nicodemus? More likely, it was the apostle John himself, who was thus an eye witness of these legal proceedings. While John is the most theological of the gospels, also in many ways the most authentic historically; his account is especially in touch with Galilean and Jewish backgrounds of the life of Jesus in ways that relate to the earliest circumstances of Jesus’s ministry. In particular, for present purposes, John 18:29-30 most significantly reports the verbal exchange between Pilate and the chief priests as they brought Jesus to the Praetorium: “Pilate then went out unto them, and said, What accusation bring ye against this man? They answered and said unto him, If he were not a malefactor, we would not have delivered him up unto thee” (emphasis added). The critical question then becomes, what did the chief priests mean by “malefactor”? Here lies the key to understanding the legal cause of action that they lodged against Jesus as they brought him to Pilate. A bit of background becomes important here, for the English word malefactor is the translation of the Greek work kakopoios, which (like its closely related Latin word, maleficus) in legal contexts can mean “magician” or “sorcerer.” To understand how ancient people generally, and the leaders of the Jewish establishment in particular, would have reacted to Jesus and his miracles, modern readers must understand the positive and negative attitudes of ancient Jews and Romans toward magic. In certain cases, both Jews and Romans had strict laws that punished magicians, sorcerers, fortune tellers, diviners, those in contact with spirits, and miracle workers. Most relevant to the trial of Jesus is the biblical law that makes it a capital offense to use miracles (signs or wonders) to lead people into apostasy (to go after other gods): “If there arise among you a prophet, or a dreamer of dreams, and giveth thee a sign or a wonder, and the sign or the wonder come to pass, whereof he spake unto thee, saying, Let us go after other gods . . . that prophet or that dreamer of dreams shall be put to death” (Deuteronomy 13:1-2, 5; compare also Leviticus 20:27). Of course, Jewish law recognized that there were good uses of supernatural powers as well as bad. Jewish attitudes toward magic mixed. Witness the contest between Moses and Pharoah’s magicians. King Saul visited the witch of Endore, but Exodus 22:18 commands, “Thou shalt not suffer a witch [either male or female] to live.” The Jews took magic seriously enough that one of the qualification requirements to be a member of the Sanhedrin was the ability to differentiate good miracle working from trafficing with the evil spirits. But equally interesting here is the fact that Roman law also proscribed certain uses of magic and divination. Empire-wide decrees adopted in A.D. 11 and 16, during Jesus’s own lifetime, elevated suspicions and sensitivities about any rogue or irregular invocations of supernatural powers. Roman law and society at that time considered magicians, along with brigands, pirates, astrologers, philosophers, and prophets, as enemies of the Roman order. For these people, gods were everywhere, good and evil; and thus unseen spirits and demons were taken seriously as a constant potential threat. Especially when combined with maiestas (anything that insulted, suborned or threatened the Emperor), condoning any such use of supernatural powers would easily make a person no friend of Caesar (John 19:12). Here is a Roman concern that the chief priests could have waved before Pilate to try to capture his attention. All this becomes relevant to the trial of Jesus in light of his miracle working. Above all, it seems clear to me that miracle working got Jesus in a great deal of trouble with those Jewish leaders who rejected him. We know that he never used his powers to harm anyone, but people at the time did not know where he would stop. If he could still the storm, then he could cause earthquakes (the most likely way in which could instantly destroy the temple), and his words to this effect so were alleged (however wrongly) as a serious threat to the temple: “We heard him say, I will destroy this temple” (Mark 14:58). Legal debates had in fact ensued over the miracles of Jesus. People must have queried: By whose power does he do this? (compare Acts 4:7). In Mark 3:22, scribes (legal officials) were brought all the way to Galilee from Jerusalem to give their legal opinion in this case. Their determination was: “He hath Beelzebub [Satan], and by the prince of the devils casteth he out devils.” What was going on there was not a theological debate, but a legal investigation resulting in an allegation with dire legal implications. As Jesus came to Jerusalem for the very last time, one final miracle tipped the scales against him—the raising of Lazarus. A miracle of this magnitude and notoriety, in Bethany just over the hill from the Temple in Jerusalem, raised legal issues that could not be ignored. After this miracle, “from that day forth they took counsel together for to put him to death” (John 11:53). The equivalent of a warrant for the arrest of Jesus was issued: “Now both the chief priests and the Pharisees had given a commandment [a legal order] that if any man knew where he were, he should shew it, that they might take him” (John 11:57). And one should note that Lazarus also was also listed as a wanted man: “The chief priests consulted that they might put Lazarus to death also, because by reason of him many of the Jews went away and believed on Jesus” (John 12:10-11). In their mind, Lazarus too was leading people into apostasy by colluding with Jesus. With this background and clear development of factors in the Gospel of John, it is hard to imagine how Jesus’s miracle working would not have been the dominant factor that galvanized the chief priests against him. However, while laws against sorcery are mentioned occasionally by commentators writing about the trial of Jesus, this underlying concern or cause of action is not usually given much attention by readers or scholars. It seems to me that the main reason for this disregard is that no formal accusation of magic or maleficium ever appears to be made in the three synoptic gospels. But in light of the foregoing discussion, a closer look at John 18:30 is required. The legal setting. Ordinary words carry technical legal import when used in a judicial context. English words such as action, motion, bench, or arise all have regular meanings in ordinary speech, but they assume a legal meaning when we know that they are being spoken in court, as is the case here. The legal request. When Pilate asked, “What sort of accusation do you bring against this man?” he was not saying, “What’s going on here?” His words call for a specific legal response. He would expect the petitioners to formulate their words back to him in terms of cognizable causes of action under Roman law. The logic of the exchange. In the synoptic Gospels (of which John was presumably aware), Pilate was said to have asked, “What kakon has he done?” (Matt 27:23; Mark 15:14; Luke 23:22). In their discourse with Pilate, if John were to have the chief priests simply respond, “Oh, he was doing kakon,” their response would be circular, evasive, and probably insulting. Their answer is best understood as being more specific than simply a repetition of the question back to the magistrate. The strong meaning of the word. Many astrological treatises, magical papyri, and other documents use the word kakopoios to describe bad mystical agents. In an emotionally charged setting, such as the hearing before Pilate, typical speakers or writers do not use strong words in a weak sense. A legal characterization of early Christians. The early Christians themselves were seen by others as being involved in magic. Suetonius states that Christians in their first century were accused of being involved in superstitionis novae ac maleficae, a label that implies charges of magic. Contemporaneous legal prosecution of other miracle-workers. Apollonius, who coincidentally was raised in Tarsus about the same time as was Saul, was another miracle-worker in the first century C.E. He was “tried for his life by Domitian,” who accused Apollonius among other things “of divination by magic for Nerva’s benefit,” and his emphasis “on supernatural revelations inevitably led to his being accused of magical practices” on other occasions as well. Jesus and exorcism and wonder working. Jesus and his disciples were indisputably depicted as exorcists, the implications of which have been quite thoroughly explored in other contexts, but even exorcism used for improper purposes in an open and notorious fashion would have produced legal trouble. Carl Kraeling has argued persuasively that people generally said of Jesus that he “has a demon,” meaning that he “has a demon under his control,” a concept commonly applied in the ambient culture to people having access to “the spirits of persons [such as John the Baptist] who had died a violent death.” After Jesus healed a man with a withered hand on the Sabbath and was then accused by people in the synagogue, he asked them, “Is it lawful to do good on the Sabbath days, or to do evil (kakopoiēsai)” and his accusers “held their peace” (Mark 3:4). Obviously, it was not lawful any time to do evil, magical works on any day. Use in 1 Peter. The only other place where the word kakopoios appears in the New Testament is in two passages in Peter’s first epistle, where it likely refers “to an individual guilty of legally defined crimes.” Peter wrote that people generally were talking about Christians as “evil makers,” but he is confident that judges and others will see their good works, glorify God, and pronounce them not “evil makers” but “good makers” (1 Peter 2:12, 14). Here the label of “evil makers” was intended by outsiders to be deeply insulting, not weakly pejorative. Even more definitively, in 1 Peter 4:13-16, Christians were exhorted to share the suffering of Christ, but not as a murderer, a thief, a kakopoios, or as a fourth kind of offender (the nature of which is more general and indeterminable). Clustered together with the first two very serious offenses in this list, the word kakopoios points to a particular crime of unacceptable magnitude. Early Christian attestations. Some early Christians, such as Lactantius in the late third or early fourth century, openly acknowledged that the Jews had accused Jesus of being a magician or sorcerer. Christians did not answer by arguing that this word in John 18:30 should be understood in some weak sense. They answered by arguing that the miracles of Jesus were acceptable because the prophets had predicted them. On the eve of the Passover Yeshu [the Nazarine] was hanged. For forty days before the execution took place, a herald went forth and cried, “He is going forth to be stoned because he has practiced sorcery and enticed Israel to apostasy. Any one who can say anything in his favor, let him come forward and plead on his behalf.” But since nothing was brought forward in his favor he was hanged on the eve of the Passover. Ultimately, however, Pilate found no such cause of action against Jesus and so held: “I find in him no fault,” or in other words “I recognize no legal cause of action against him” (John 18:38, author’s translation). Pilate was satisfied that Jesus of Nazareth had not broken any Roman law, even by doing what might have been seen by some as possibly threatening to use miraculous powers to commit some form of treason or sedition. Nevertheless, Pilate was apparently still fearful enough about the situation that he was willing to permit or take some action. The earliest extant Christian art offers further witness of the popular reputation that Jesus had as a wonder worker, not only among his detractors, but also his followers. Pre-Constantinian images of Jesus depict him as a miracle worker more often than in any other pose. The most common compositional element of these images shows Jesus holding a magic wand with which he performs his supernatural feats. It would be hundreds of years after the death of Christ before the cross or the passion narratives became main subjects of Christian art. Instead, the raising of Lazarus (John 11:1-43), the raising of Jairus’ daughter (Mark 5:22-43; Luke 8:41-56), the miracles of loaves and fishes (Mark 6:38-44; 8:5-19; Matthew 14:17-19; 15:34-36; Luke 16:9-10; John 6:9-13), and the turning water into wine (John 2:1-11) were the most popular narratives depicted in the first few centuries. As one scholar has noted, “To such Christians, the life of Christ consisted simply of a series of miracles.” And in depicting these miracles, Jesus touches the body of the deceased, the loaf-filled baskets, and the water-filled amphora with his magic wand. Although found in several locations, the majority of these images are found in the Christian funerary sculpture and painting in the Roman catacombs—a 12-mile underground labyrinth of niches, alcoves, and passageways beneath Rome. Here, graves were often decorated with religious motifs, sometimes quite elaborately. The resurrection of the deceased was metaphorically promised by miraculous scenes such as the miracles of Christ, Jonah and the whale, and the deliverance of Shadrach, Meshach, and Abednego from the fiery furnace. Ancient artists added the detail of Jesus holding a wand to the Gospel miracle stories because of the popular correlation of a wand with magicians. In Homer’s Odyssey, for example, Circe—the magician daughter of Helios—is depicted working her magic with a wand when she transforms a group of people into pigs. In Roman mythology, Mercury was one of the gods who escorted souls to and from the afterlife. Just as Mercury is depicted holding his golden wand to lead the dead back to life, so to Jesus is shown magically bringing people back to life with a wand or staff. First, few secular scholars want to allow that the miracles of Jesus really happened. If they did not happen, of course, they could not have been a factor in the historical trials of Jesus before the Sanhedrin and Pilate. But if they did happen, it is hard to see how they could have failed to have been a dominant factor in the case of the chief priests against Jesus of Nazareth. Second, Christians today generally do not want to associate Jesus with magic or with any suggestion that he was a trickster. But the line between good miracles and bad magic is definable by their results. Jesus himself said, “By their fruits ye shall know them” (Matthew 7:20), and asked, “How can Satan drive out Satan? And if a kingdom be divided against itself, that kingdom cannot stand” (Mark 3:23-24). Christians should celebrate, not obfuscate, the miracles of Jesus. Third, critical scholars generally give more historical weight to the accounts in Matthew, Mark and Luke than in John. But in light of the fact that all three of the synoptic gospels report that Pilate asked, What kakon has he done?” (Matt 27:23; Mark 15:14; Luke 23:22), the formulation by the chief priests of the legal cause of action against Jesus in John 18:30 becomes all the more significant. The charge that Jesus was a kakopoios (a malificus, magician, wonderworker) raises a common ground that both Jews and Romans would take seriously. 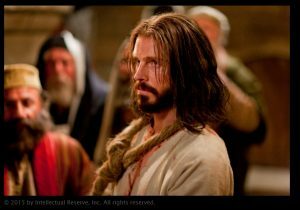 Of course, it would help if the world accepted the Book of Mormon, which long ago revealed that even after all his mighty miracles “they shall consider him a man, and say that he hath a devil, and shall scourge him, and shall crucify him” (Mosiah 3:9). It seems to me, as the Book of Mormon makes quite clear, that these miracles lead to Jesus’s scourging and crucifixion. His mighty miracles forced the issue, then as now, namely, by what power did Jesus do these things? If by the power of God, then he should be accepted and followed; but if by the power of Beelzebub, then he should be feared and eliminated. Jesus certainly came with power. He was the creator of the world, good enough, wise enough, and powerful enough to bring to pass the salvation, immortality and eternal life of all mankind. If he could raise Lazarus from the dead, he could control many other life and death situations, in this world and in the world to come. His powers were also sufficiently in control of all that needed to happen as he came into this world and as he went out of it (see John 10:18). He came to win the cosmic battle against death and hell, to engage the powers of evil, to drive out devils from paralytics and demoniacs, and to cast out Satan eternally. This makes one wonder: How could he do all of this and not find himself accused of dealing with the realms of the paranatural? John W. Welch, “Miracles, Maleficium, and Maiestas in the Trial of Jesus,” in Jesus and Archaeology, James H. Charlesworth, ed. (Grand Rapids, MI: Eerdmans, 2006), 349-83. A version of that paper focusing on biblical, Jewish, and Roman laws regarding magic was presented at the Biblical Law Section of the Society of Biblical Literature, annual meeting, November 2005. John W. Welch, “The Factor of Fear in the Trial of Jesus,” in Jesus Christ, Son of God, Savior, Paul H. Peterson, Gary L. Hatch and Laura D. Card, eds. (Provo, Utah: BYU Religious Studies Center, 2002), 284–312. For an extensive listing of scholarly sources, see John W. Welch, Biblical Law Cumulative Bibliography (Winona Lake, IN: Eisenbrauns, and Provo, UT: Brigham Young University Press, 2005), CD-Rom. Joachim Jeremias, Jerusalem in the Time of Jesus (Philadelphia: Fortress, 1969), 229, 265. People ordinarily assume that the actions against Jesus were based on some colorable legal grounds, and were not just fait strokes of arbitrary discretion. In John 18:31, the Jews say to Pilate that they lack the authority to execute anyone. It is possible that the Jews were just being careful and deferential toward Pilate, or perhaps even a bit disingenuous hoping that he would take responsibility for executing Jesus. New Testament evidence (as in the attempts to stone Jesus in Nazareth or the incident of the woman taken in adultery) show that on some occasions the Jews had or took power to put people to death. In the case of Jesus, the Jews eventually received a release from Pilate to do with Jesus as they pleased (John 19:16), which—if blasphemy were the only issue—would normally have entailed stoning. But having urged Pilate to crucify Jesus, the execution went forward in that manner. b. Sanh. 17a. See further, Welch, “Miracles, Maleficium, and Maiestas in the Trial of Jesus,” 366. Graham H. Twelftree, Jesus the Exorcist: A Contribution to the Study of the Historical Jesus (Peabody, Mass. : Hendrickson, 1993), 204. Seutonius, de Vita Caesarum, 6.16 (Nero). Cramer, Astrology in Roman Law and Politics, 222-23. Smith, Jesus the Magician; R. Shirock, “Whose Exorcists Are They?” JSNT 46 (1992): 41-51; C. K. Barrett, The Holy Spirit and the Gospel Tradition (London: SPCK, 1947) ch. 4. C. H. Kraeling, “Was Jesus Accused of Necromancy,” JBL 59 (1940): 153-57. J. H. Elliott, 1 Peter (New York: Doubleday, 2000), 468. When Luke calls the two other criminals crucified with Jesus “malefactors” (Luke 23:32), the Greek word he uses is kakourgos, not kakopoios. Luke’s word refers to “robbers,” and it must mean something different to Luke than kakopoios means to John, or else we must imagine that the Jews in John 18:30 were accusing Jesus of being a “robber,” an allegation that lacks any plausible basis. Lactantius, Divine Institutes, 5, 3; in Patrologia Latina 6.560-61. Josephus, War IV-VII, trans. H. St. J. Thackeray, LCL (Cambridge: Harvard University Press, 1928), pp. 648-50 (brackets in this translated source). See Thomas F. Matthews, The Clash of the Gods: A Reinterpretation of Early Christian Art, Rev. ed., (Princeton, New Jersey: Princeton University Press, 1993), 54–91, and Robin Margaret Jensen, Understanding Early Christian Art (New York: Routledge, 2000), 64–93. Matthews, Clash of the Gods, 59. For Circe, see Odyssey 10.293, 388; Virgil Aeneid, 7.189–91; Ovid, Metamorphoses, 14.278, 413. For Mercury, see Odyssey, 24.1; Virgil, Aeneid, 4.242; and Prudentius, Contra Symachum, 1.89–91 all cited in Matthews, Clash of the Gods, 58–59. I thank Josh Probert for his research on early Christian art.